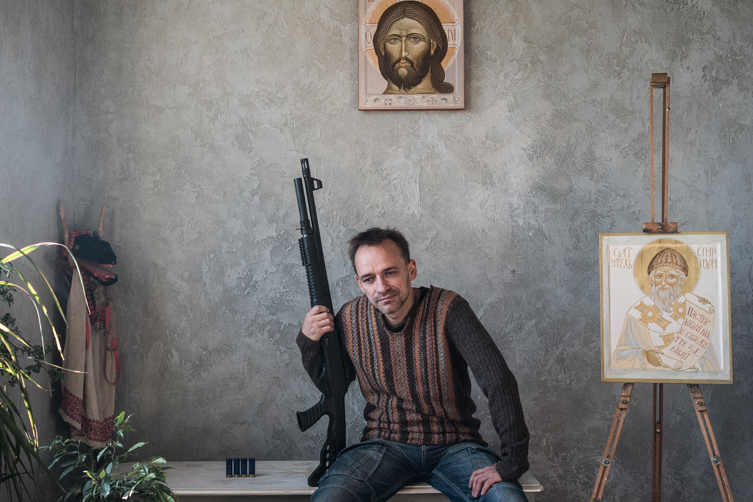 Ukraine is the only country in Europe with no law regulation for the civilian firearm ownership. During the whole period of independence, the government of Ukraine tried to propose more than dozen laws but none of them have been accepted. It is strictly prohibited to buy and bear arms for self-defense. Even traumatic weapon is available only for limited persons like judges and national deputies. The only way to own a firearm legally is to purchase a rifle or a shotgun for hunting. It’s absolutely legal to purchase any modifications of non-automatic army weapon (such as AK or M16). Currently weapon has become something usual and ordinary in the hands of Ukrainians. But just last year none of those, who bought rifles and shotguns now, could imagine they would have firearm in their homes. Now they are all in support of the gun trade in a legal way. However, the main reason for the firearm to be legalised is not to convert civilians into the army, but to protect one’s family and belongings. It looks like firearm is a modern version of the amulet, giving its owner an extra power. Not everyone is comfortable to point it at the aggressor and shoot but everyone feels safer having one.